View Maine Swedish Colony sites in a larger map (includes a listing of sites). Zoom in to see detailed site locations. Google Map above: Maine Swedish Colony sites and sights. Mapquest The red star is right on top of the New Sweden Capitol Museum. 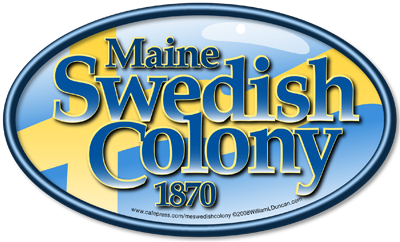 Colony Map created for Maine's Historic 1870 Swedish Colony: History, Map, and Tourguide. Many sites and roads identified. mainerec.com a commercial web host; includes lodging. Do a lodging search at Caribou Chamber of Commerce. Stan’s is gone. After 45 years, Stan has retired. We all miss him very much. July 4 , Swedish Pancake Breakfast. Berries and whipped cream; bean-hole beans. Yum! Thanks to Shelly Timber for these driving directions. If you are south of New Sweden, Maine, get to Interstate 95 from wherever you are, Be prepared for tollbooths and turnoffs to stay on rte. 95 all the way north. Stay on rte. 1, through Presque Isle, all the way into Caribou. At the 2nd traffic light, turn left to stay on rte. 1 (after you turn, a Ford dealership will be on your right). Continue for about 6 miles till you see the historical sign for the "Swedish Colony" on your left. Just after it, turn left onto Emond Rd. Continue on this winding country road for about 4 miles. 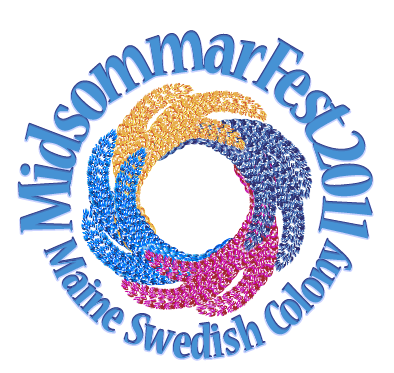 It will take you to New Sweden, and the Midsommar Festival will be on your right. Colony Map from the Colony Guidebook. There are some miscellaneous maps on the links page. Please suggest a link to be included here. Send email to: Bill Duncan, duncan@ainop.com.